Among these features, there is a Windows XP Mini which is a Live CD of Windows XP with lots of small utilities to do almost anything you want. You can also use utilities that you previously copied to a USB drive on your hard drive in a file share on another computer on the network. Mini Windows XP loads into RAM (random access memory). If you use a SCSI hard disk, or if you have a RAID configured on your hard drive you can load the drivers required by pressing the "F6" key. And you arrive at the office of the Mini Windows XP. As you may have noticed, the theme is "Windows Classic" which is the appearance of Windows 95/98. To change the keyboard language, right-click on the "EN" in the system tray next to the system time and click on your language. 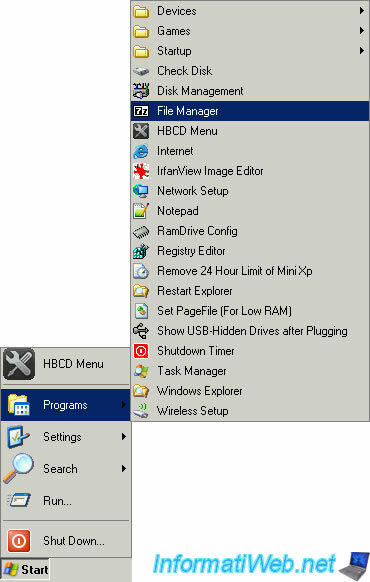 If you go to the start menu -> Programs -> Devices -> Device Manager, it may be that you have "!" yellow for COM & LPT ports. These ports which are hardly used. The "COM" port can be used for example to connect to a modem by a terminal and LPT Parallel port is a port where you plugged the old printers. It may be that your printer is always connected to the parallel port if it has a certain age, but the news is now connected either via USB or by Wifi (wireless). 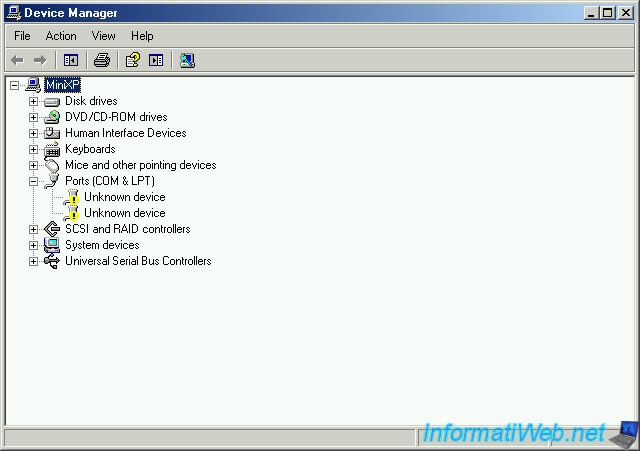 For example, if you connect a device that is not recognized automatically, you can install a driver via the device manager to use it. The changes will obviously be lost on reboot because the entire configuration is saved in random access memory (RAM). You can play 2 games base if you wish. However, the games do not really have interest on a CD repair so we will not perpetuate it. - Or open a command prompt as Administrator. Example of useful commands : "bootrec /fixmbr" and "bootrec /fixboot". - B - RAMDrive : Virtual Partition created in RAM. This means that the data will be permanently erased when the extinction of the machine. - C - System reserved : Present only if the version of Windows installed on the hard disk is Seven. The partition contain WinRE described above. - D - No label : This is the partition where Windows is installed. It is called "no label" as the default name is not defined for the partition where Windows is installed but you can rename it if you wish by "My Computer" or "Computer" in Windows Vista / 7. It is interesting to perform the verification on that partition if you have problems starting your Windows or other installed. - E - HBCD 15.1 : This is the Hiren Boot CD Live CD in your CD / DVD drive. - X - Mini Xp : This is a virtual partition created in RAM. It contains the Mini Windows XP installed in RAM. This quick installation of Windows XP is only virtual and doesn't alter the data on the physical hard disk. As for the "ramdrive" partition, the data in this partition will be lost during shutdown of the machine. 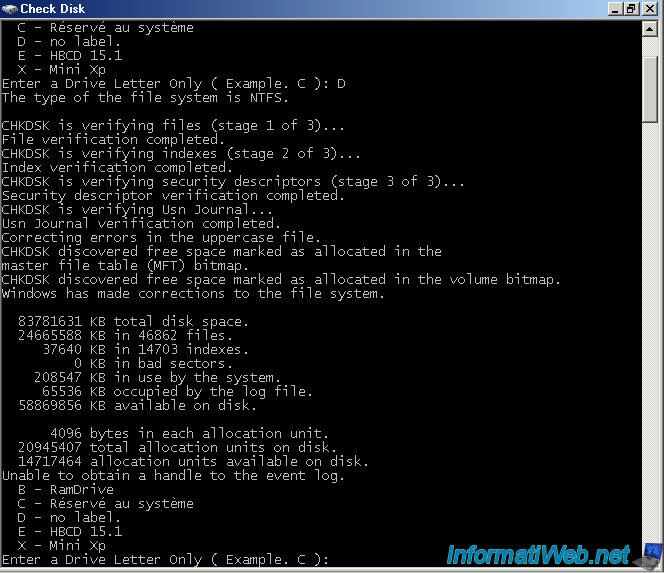 Check Disk starts checking the selected partition. As you can see from this picture, chkdisk performs many checks. If errors are found, they will be repaired automatically. Once this process is completed, the program automatically returns to the menu. Disk Manager allows you to manage your hard disks. You can create partitions, convert basic hard disks to dynamic disk (Windows XP can not be installed on a dynamic disk), change the letter of a selected partition ... If you connect a new hard drive internally, it is theoretically never initialized. We must therefore go through this handler to initialize and create the partitions with the size you want for each. A hard disk can have only 4 primary partitions maximum but you can for example create 3 primary partitions + 1 extended which will contain an unlimited number of logicals disks. 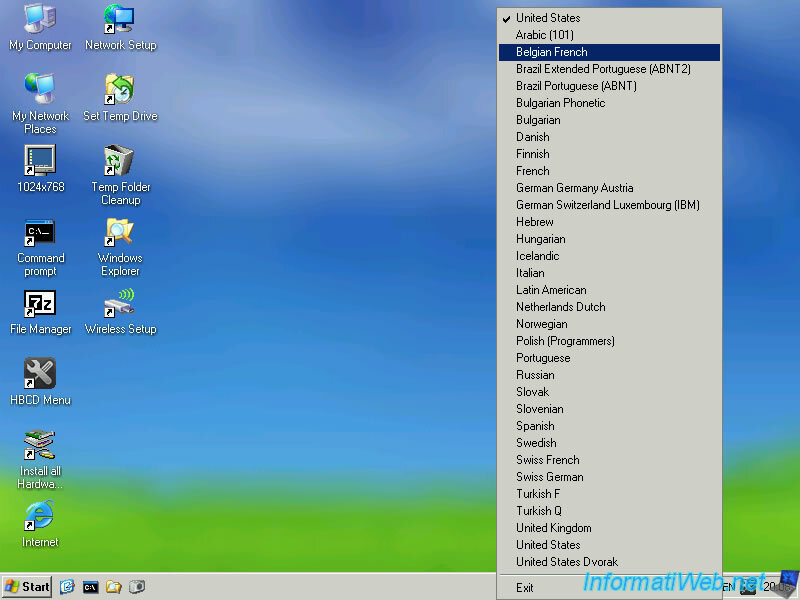 For information, it is preferable to install Windows on a primary partition. Generally, it is installed on the first primary partition ease. Then at the bottom you can see the details of each bracket. - The partition on each drive marked as active (partitions on which the computer will attempt to start). When installing Windows, the partition is marked as active automatically. If you mark another partition on the same hard disk as active, the computer will restart more about Windows. We must therefore use a Live CD like this to notice the Windows partition "Active". - Unallocated space (Unallocated) if the total size of all partitions is smaller than the size of the hard drive. I was told to do a test under Windows 7 64-bit, my second computer has it. I had already done with the previous hard drive and it was the same result as in Windows 2003. But I just remembered that I had put in my USB external enclosure to test Windows 7 64-bit. I think it must be because of that. So I plugged my hard drive directly on the motherboard of my second computer. And I launched an audit of the state sector. I got the result that there is no bad sector. I realized that 3TB hard drives going badly under Windows 2003 with GPT support (maybe the GPT under Win2k3 is less stable than under Win7). If I know earlier for the first hard drive, I could keep the hard drive under warranty for exchange against 2 or 3 hard drives ... But too late. The model of my hard drive is Hitachi HDS5C3030ALA630. It is simply the file manager software of the free compression software named "7-Zip". Its main advantage is to explore compressed as zip, rar, 7z, ... files, can compress files / folders or extract. 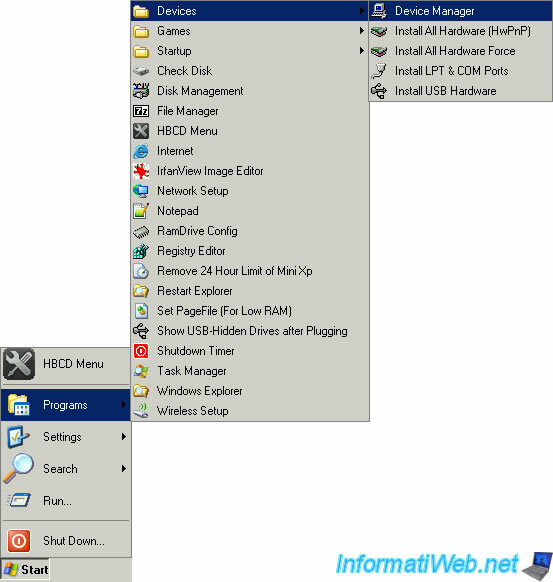 HBCD Menu is a small program that allows access to a very large list of software of all types that are available as compressed files on the CD Hiren Boot CD. A small window called "Hiren's BootCD 15.x - Program Launcher" opens. Just click on "Programs to display all categories of software available on the CD. - Antivirus / Spyware : Performs a Anti-virus and Anti-spyware scan from your computer. If you want to do a scan with Malware Byte, just download the setup file on the publisher's website and install it normally. It will be installed in RAM and its installation will clear when the extinction of the computer. 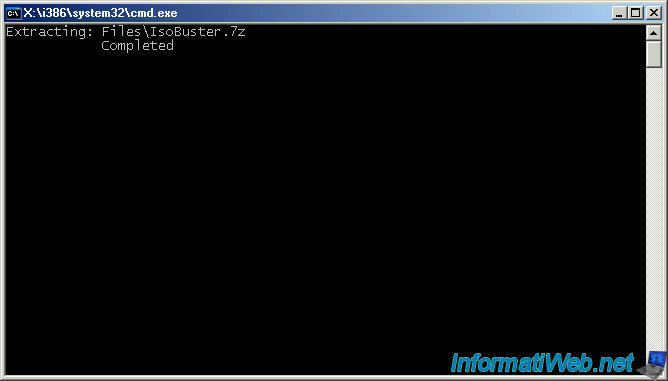 - Cleaners : Deletes temporary files, uninstall software (that said, it is still recommended to use the utility "Add / Remove Programs" or "Programs and Features" in Windows integrated) ... It also contains the well-known software called "Ccleaner" can be useful in some cases but unfortunately often misused and therefore the cause of many problems. - Optimizers : Allows access to defragment a hard disk. A utility to fix errors in the registry is also present but this kind of software is not recommended because it is often a source of problems as Cleaner. - Partition / Boot / MBR : Allows you to manage partitions, format the USB key, edit and repair the boot an operating system. Warning : Never change if the startup information of an operating system without knowing what you are doing. Otherwise, Windows may not start. - Passwords / Keys : Used to retrieve product keys also called "serial number", change or reset passwords for Windows sessions, retrieve words password (network , system, web browsers, e-mail ,routers, ...). - Remote Control : Allows you to take control of a remote computer and vice versa via TightVNC and TeamViewer. You must of course have the consent of the user of the remote PC. - Startup : Manage software, drivers, ... which are set to run automatically at Windows startup. By default, it is possible that this is the Mini Windows XP virtual. So use the "Offline" function to change the physical Windows. - Tweakers : To fix some problems with the "fix", disable Autorun (autorun.inf) to avoid contamination by viruses on removable media such as CDs, DVDs and USB sticks. Also allows you to edit the hosts file to redirect certain domain name to an IP address for example block access to a website or another. 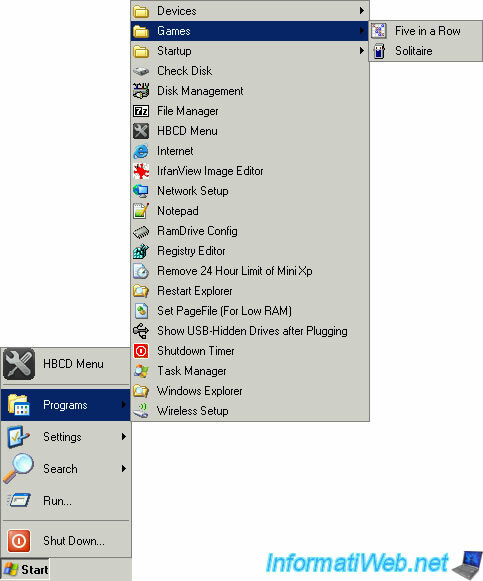 - Others : Allows you to use a scientific calculator to force reboot, to emulate a mouse controlled by the keyboard, install Windows Vista from XP Mini decompressing the install.wim on the partition where Windows file and install modifying various startup parameters to allow to continue the installation after restarting the computer. You can also explore the folder where all these programs by clicking on the big button "Browse Folder". In 90% of cases, these programs are in compressed format "7z (7-Zip)". The program thus extracted once the files when you first launch the program in question to allow you to use it properly.